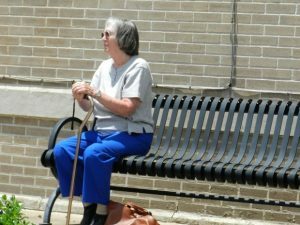 A woman recently wrote to an columnist who offers advice on Social Security matters, and lamented the fact that they were probably not eligible for SSDI benefits due to their retirement nest egg that was about $250,000. She noted she was 60 and had no choice but to quit her job due to an array of medical ailments. She was considering applying for SSDI, but assumed her husband’s income and their savings would disqualify her. The columnist rightly noted the writer had fallen prey to the same misunderstanding that so many do when discussing Social Security Disability Insurance, which is to assume that it is a type of welfare program, and that therefore applicants have to meet certain income requirements. “If Bill Gates became disabled tomorrow, he could file for Social Security disability benefits,” the columnist wrote, noting that even the billionaire wouldn’t be exempt under the current guidelines. It has to do with the SSDI is structured – and it does differ from Supplemental Security Income, or SSI, which is a type of welfare program. SSDI uses medical disability criteria as well as non-medical criteria to determine if you you qualify for benefits. It is a program that is doled out based on work credits, rather than income. In order to qualify for Boston SSDI benefits, applicants must have first worked in occupations that were covered by Social Security. On top of that, applicants need to have a medical condition that meets the definition set forth by the Social Security Administration of “disability.” It gets technical, but generally speaking, if you have a condition that has lasted or will last a year or longer or is terminal and you are unable to work as a result, you may be eligible. Of course, that eligibility assumes you can prove you worked long enough under Social Security to qualify for benefits. That exact length of time is going to be contingent on a few different factors, including your age. For example, if you become disabled on or before the three months you turn 24, you have to have at least 1.5 year of work paid in during the three years before that quarter your disability began. If you are older than 24 but younger than 31, you generally need to have worked at least half the time from when you were 21 until the quarter before your disability. If you are older than 31, you need to have worked at least five out of the 10 most recent years, ending with the quarter before you became disabled. On top of that, there is the work duration test, which requires applicants to have worked a certain amount of time overall. So for example, someone who becomes disabled at 34 would need to have at least 3 years of total work experience. However, if you are 60, like this letter writer, you would need to have at least 9.5 years of total prior work experience. There are some applicants (primarily those who suffer from blindness) who would only need to meet the duration test, though most workers generally have to meet both tests to qualify.